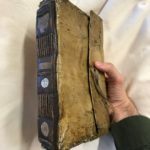 The bibliographic remnants of medieval pilgrimage are often haphazardly or imprecisely catalogued; one can rarely rely on caalogues and handlists, without inspecting a book itself, to understand what the medieval source is. 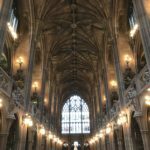 A good case in point is a book I recently inspected in the beautiful John Rylands Library, Manchester; from its record in the Index of Middle English Prose, I had thought that this manuscript (now Latin MS 228) might be a Jerusalem-bound pilgrim’s manuscript. 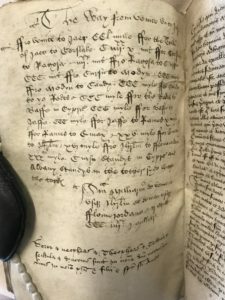 Latin MS 228 is a miscellany, and represents a very common kind of medieval manuscript, in which ‘useful information’ – legal documents, recipes, poetry, medical writing, and many other types of text – were gathered together. It is neither always apparent that a miscellany has an organising principle, nor is it often clear when the manuscript was organised. 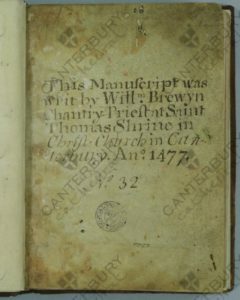 In the case of some manuscript miscellanies, their development seems to be organic, taking place over many years, and with many different owners adding – and deleting – contents, according to changes ideas of what was useful or desirable. Latin MS 228 looks, on first sight, like it could be a pilgrim’s manuscript. It has a beautiful binding, dating from c. 1490-1525, in soft vellum. It would have been highly portable, and the back of the binding even has a flap in which to store loose leaves or other items. The binding is also important because it represents the moment at which someone put the book’s current contents together: that is, the moment of the book’s binding can reveal what was valued at that particular moment in time. Moreover, Latin MS 228 contains two texts that relate to pilgrimage to Jerusalem, one in Latin and one in Middle English. The Latin text (ff. 43v-44r) is headed ‘Itinerarium terre sancta’. In fact, it contains a few notes on the distances from Rome to Naples, from Venice to the Holy Land, from Jaffa (‘Portiaff’) to Jerusalem, from Jerusalem to Bethlehem, from Bethlehem to the River Jordan, and from Jerusalem to ‘Monte Synay’, Mt Sinai, and the tomb of St Katherine there. Then follows some notes on the relics and indulgences of Rome, and some historical notes on Saladin and the history of Jerusalem. There’s no evidence from this short Latin text that it was used by an actual pilgrim. The way from venice unto Jaffe. Fro Venice to Jaer [Zadar] CCl mille ffor the town of Jaer to Corslake [Corcula] ciiiixx x mil ffor Corslake to Ragosa [Dubrovnik] iiiixx mil ffro Ragosa to Curfu CCC mil ffrom Curfu to Modyn [Methoni] CCC myle Ffrom Modyn to Candy [Crete] CCC myle ffrom Candy to þe Rodes [Rhodes] CCC myle ffor Baffe [Paphos] to Jaffe [Jaffa] CCC myle ffor Jaffe to Rames [Ramla] x myle ffor Rames to Emax [Emmaus] xxv myle ffor Emax to Jerusalem xvi myle from Jherusalem to Fflome iordan [River Jordan] xxxti myle. Curfu standys in Cypris [Cyprus] and Albany standys in the tother syde within the torke. Summa milliarium de venecia usque Jherusalem et deinde usque fflome jordane ii milia ccc iiiixx I millaria. The Middle English text is perhaps more likely to represent an actual journey undertaken, suggested by the late-medieval toponyms and its greater detail. The mileages given here are not the same as in the Latin text, and the two texts are written in different hands. 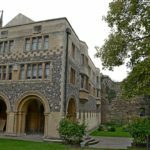 At the end of the Middle English itinerary a charm has been added. So was Rylands Latin MS 288 a pilgrim’s book? Sadly, it’s impossible to say. 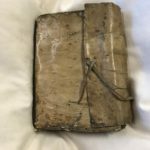 We don’t know who its medieval owners were; the book has been much reorganised; and the Middle English text is on a single leaf – the other pages it was originally with have been cut out. On the reverse of this leaf is a short Latin extract, in the same hand as the itinerary, with an excerpt from the political prophecy of ‘Sixtus of Ireland’ (which includes the prophecy that the cities of Jerusalem and Acre will be retaken by a Christian prince). a mass for ill cattle (f. 140r), which involves leading the animals into the barnyard, and having a priest with holy water say various gospel texts to the cattle as they turns their heads to the east. As I am repeatedly discovering, it is very difficult securely to connect ‘pilgrims’ texts’ with actual pilgrimage or pilgrims. 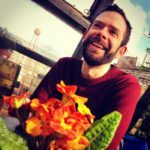 The journey to Jerusalem was clearly valued as a useful piece of information, something worth remembering, a mental route to return to over and over again, whether or not it had any practical application. 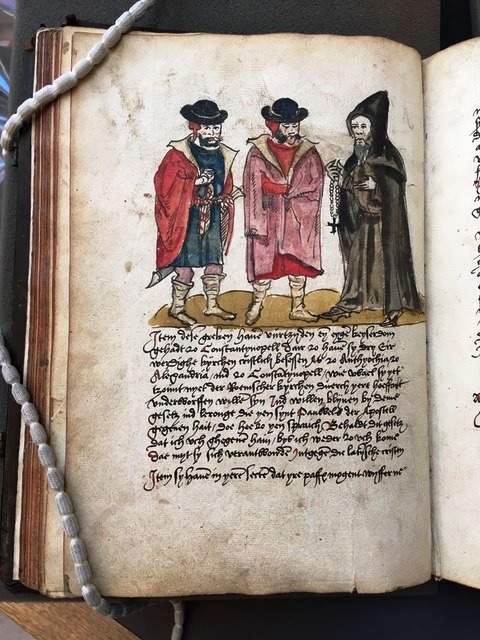 We cannot say with any certainty that Rylands Latin MS 228 was ever used by a pilgrim; but we can be confident that the route to Jaffa and Jerusalem was on the mind of the book’s owner(s) in the late fifteenth or early sixteenth century. The Greek Orthodox Patriarchate in the Old City of Jerusalem is one of the most important resources for understanding the religious history of the Holy Land: in the Patriarchal Library are gathered the ancient manuscript treasures of the Church of the Holy Sepulchre and several other monasteries in the region. 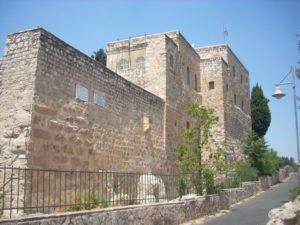 The Library’s main holdings comprise the Greek manuscripts previously held at Mar Saba near Bethlehem and the unique Greek and Georgian manuscript holdings of the Monastery of the Holy Cross (a Georgian foundation which is now a Greek house) in west Jerusalem. 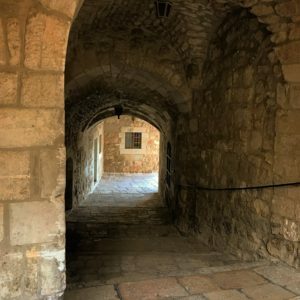 In my work tracing the manuscripts held at the now-vanished medieval Franciscan monastery at Mount Zion, I had wondered if any pilgrims’ books might have found their way to a Greek monastery in the region. 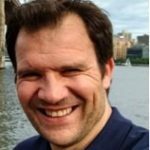 I was thus intrigued to find that amongst the Patriarchal Library’s holdings – which are overwhelmingly Greek and Georgian in origin – there is one Latin manuscript: MS Taphou 27. Thanks to the assistance of Archbishop Aristarchos of Constantina, I was recently able to examine MS Taphou 27, to see if the book could be more securely associated with its medieval owners. 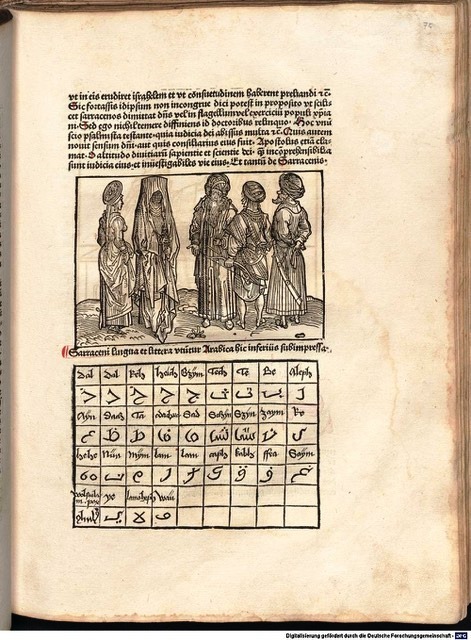 What follows is very much a preliminary account of the manuscript, a starting-point for plotting the biography of a manuscript that seems to be ‘out of place’. Taphou 27 is a copy of Eutropius, a Classical chronicle dealing with Roman history. It was a very widely-read work, in both humanist circles and as a school text-book. Taphou 27 dates from the later fifteenth century, and includes some exceptionally beautiful illustrations and fine decorated lettering. The manuscript was almost certainly made in Italy, perhaps in Milan or Naples. It has a post-medieval binding, apparently British of c. 1800, and some of the book’s folios have been clipped. 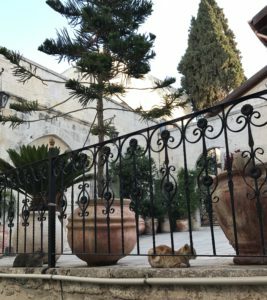 There are a few clues in the book about its history and its journey from Italy to Jerusalem and the Greek Patriarchate. First, on the book’s first folio, are two Greek inscriptions, in different hands. 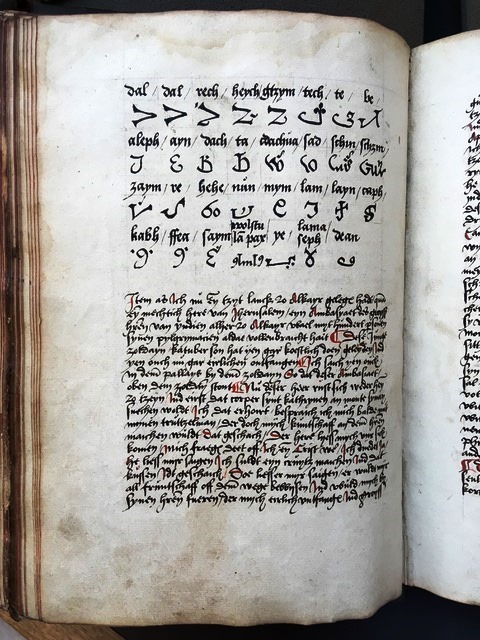 The first, hard to decipher, suggests that the book was at Constantinople, at the Metochion of the Holy Sepulchre, by the year 1677. The second says that the book comes from “the belongings of Panayotis…which are useful to him” – it’s not clear exactly who or what this refers to. Over the coming months I hope to explore the possible meanings of these inscriptions with members of the Pilgrim Libraries project who are more familiar with Greek materials. As Christopher Wright has shown, the manuscript was part of a large number of ancient books that were taken from the Ottoman empire to England, c. 1801, by Joseph Dacre Carlyle, Professor of Arabic at Cambridge, via the British embassy in Constantinople. Carlyle certainly took at least six books from Mar Saba, as a surviving receipt shows (now The National Archives, FO 78/81, f. 56r), and a number of manuscripts from the Metochion, lent by the Patriarch of Jerusalem Anthimos, who at that time resided in Constantinople. The manuscript passed to Carlyle’s sister Maria in 1804, and she retained it as a memento, having given the bulk of her brother’s collection to Lambeth Palace Library. The manuscript was returned by Maria Carlyle to the Greek Patriarchate around 1813, via the Patriarch Polycarpus. A Greek note on the front of MS Taphou 27 confirms the return of the book from England. I A C O B U S Laurentianus scripsit. This Iacobus Laurentianus was the scribe of the whole volume. 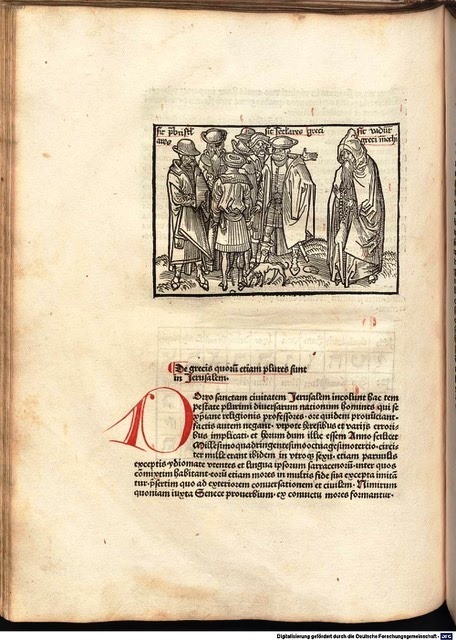 Laurentianus is by no means an unknown scribe: on the contrary, he was evidently a prestigious and highly-productive scribe in late fifteenth-century Italy, his work including commissions for the Aragonese court in Naples and the Sforza family in Milan. My preliminary research shows that a group of surviving Laurentianus manuscripts can be traced, now in collections around the world (given in a working hand-list below). MS Taphou 27 can therefore be added to the known works written by Jacobus Laurentianus. 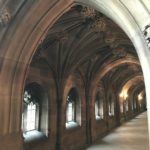 It is not clear from the book however if it was written to commission – in my inspection of the book, I did not see any heraldic devices or similar evidence that would point to a medieval patron. 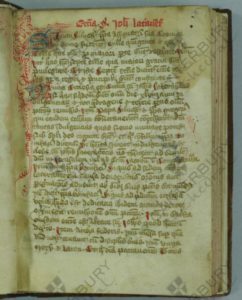 As W. S. Monroe has shown, Laurentianus’ manuscripts were sometimes copied from printed texts, and MS Taphou 27 was likely copied from the printed edition of Eutropius (Rome, 1471); Laurentianus copied another manuscript of this text, now in the Escorial in Madrid. This still doesn’t get us any closer to establishing how the book got from Italy to the Middle East, although the Greek inscriptions suggest that it was there by the mid-seventeenth century. The library of the Dukes of Aragon, based at Naples, shows that it held three books by Jacobus Laurentianus, including the copy of Eutropius, now in the Escorial, dedicated to Ferdinand/Ferrando of Aragon and, as Tammaro de Marinis shows, written at some point between 1471 and 1480. The Jerusalem manuscript is therefore almost certainly closely connected to this prestigious commission, although as I have not yet inspected the Escorial manuscript I cannot be sure of the relationship between the two. The Aragonese library at Naples was broken up in the later fifteenth century. I am not at present in a position to make any firmer or larger conclusions about the book’s history but it is clear that Taphou 27 presents an intriguing piece of evidence in our attempts to understand the movement of books in the late medieval and early modern Eastern Mediterranean. 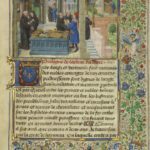 Paris, Bibliotheque National de France MS italien 1712, Vita de santi padri (1465); this manuscript seems to have been owned by Ippolita Sforza. Current whereabouts unknown: Diodorus Siculus (“Iacobus Laurentianus scripsit”), mentioned by Cherchi and de Robertis. de Marinis, Tammaro, La biblioteca napoletana dei re d’Aragona (Milan, Hoepli, 1947-52) 4 vols. Schadee, Hester. 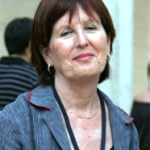 “The First Vernacular Caesar: Pier Candido Decembrio’s Translation for Inigo d’Avalos with Editions and Translations of Both Prologues.” Viator 46.1 (2015): 277-304. 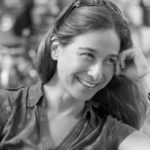 I would like to thank the following for the help in drafting this blogpost: William S. Monroe, Marina Tompouri, Kostya Tsolakis, Nickiphoros Tsougarakis, and Archbishop Aristarchos of Constantina, Elder Secretary-General of the Greek Patriarchate, Jerusalem. When did the Presbyter Jachintus make his pilgrimage to the holy places? We have in hand only one page of an only copy of the text he wrote to recount his visit, and it is of little use in answering this question. The surviving fragment holds only a description of Bethlehem, a mention of Rachel’s Tomb and part of a description of the Holy Sepulchre. This is a great pity, as the traveler had a sharp eye and was more interested in architectonic elements than any other known traveler of the Early Middle Ages. Deeply impressed by the monuments he had seen, the Presbyter Jachintus penned the only Holy Land itinerary from Iberia we possess after Egeria’s letter in the late fourth century. Jachintus’ fragment, written in a Latin that reveals constructions close to Romance languages, was discovered by Zacarías García Villada in the library of the Cathedral of León. 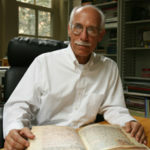 García Villada dated the fragment, after its paleographical data, to the tenth century. The date of the pilgrimage is more difficult to establish. At the beginning of his narration, Jachintus writes that the city of Bethlehem is destroyed (Civitatem Bethlem destructa est). García Villada, followed by Wilkinson in his translation of the text (Jerusalem Pilgrims before the Crusades, 1972, pp. 11, 123, 205), took this detail as key for dating it. García Villada believed that the destruction was caused either by the Persian or by the Muslim conquest (614, 637) and thus placed the visit sometime between the seventh and the tenth centuries. Wilkinson connected the destruction to an earthquake, perhaps the one that occurred in 746, and thus dated the pilgrimage to the eighth century. Both suggestions are problematic. It is well known that the Holy Land churches were rehabilitated soon after the Persian sack and that the Muslim conquest was not violent. As for the 746 earthquake, Theophanes writes that it caused destruction mainly in the Judean Desert, and Agapius mentions Tiberias, but none relate to Bethlehem in particular. While these earlier works take Bethlehem as a guide, a new dating was suggested after the Holy Sepulchre description. 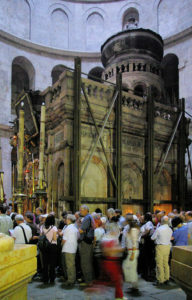 Martin Biddle (1994, 1999) has argued that Jachintus is clearly describing the aedicule of the Holy Sepulchre as rebuilt in the eleventh century, in the course of the renovations following the destruction caused in 1009 by the Fatimid caliph Al-Hakim. The aedicule remained in this form for centuries, but its precise date of construction is unknown. It had to have been built before 1047, however, when the Persian traveler Naser-e Khosraw wrote about it in its new form. Biddle recruits Jachintus to solve the problem. 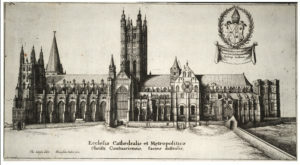 He suggests that Jachintus visited the church in the eleventh century, after the building of the aedicule, and that the León manuscript was copied later in that century. Following this notion, in his new edition of his Jerusalem Pilgrims before the Crusades (2002), Wilkinson changed the dating of the text to the eleventh century. Biddle’s suggestion is based on a single sentence at the end of the fragment, describing three windows (fenestre tres) on which the mass is celebrated. Biddle claims that these fenestre are the three windows in the marble covering the tomb, described by the Russian monk Daniel in 1106-1108, and thus exhibit the aedicule as constructed in the eleventh century. 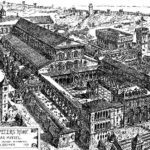 Nevertheless, as Biddle himself notes, the reference to the three fenestre comes at the end of the description of the aedicule, after the roof, and thus is out of sequence. If the three windows are indeed those known from Daniel’s treatise, they ought to have been mentioned within the aedicule and not in its exterior. As such, it is hard to know exactly what Jachintus is discussing. The dating of the text thus remains an open question. Catedral de León, Codex 14, fol. 5. Zacarías García Villada, “Descripiones desconocidas de Tierra Santa en códices españoles”, Estudios Eclesiásticos 4 (1925), pp. 322-324. Julio Campos, “Otro Texto de Latin Medieval Hispano: El Presbítero Iachintus”, Helmantica: Revista de filología clásica y hebrea 8 (1957), pp. 77-89. John Wilkinson, Jerusalem Pilgrims before the Crusades (Jerusalem, 1978), pp. 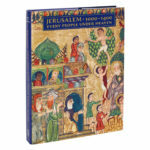 11, 123, 205; John Wilkinson, Jerusalem Pilgrims before the Crusades (Warminster, 2002), pp. iii, 27, 404. Martin Biddle, “The Tomb of Christ: Sources, Methods and a New Approach” in Churches Built in Ancient Times: Recent Studies in Early Christian Archaeology, ed. Kenneth Painter. Series: Occasional Papers from the Society of Antiquaries of London, 16 (London, 1994), pp. 73-147, at p. 140, n. 14; See pp. 106-8. Martin Biddle, The Tomb of Christ (Stroud, 1999), pp. 85-88, 152, n. 61, 153, n. 68. 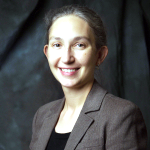 Blog-post author, Dr Merav Mack, Hebrew University of Jerusalem, IL. 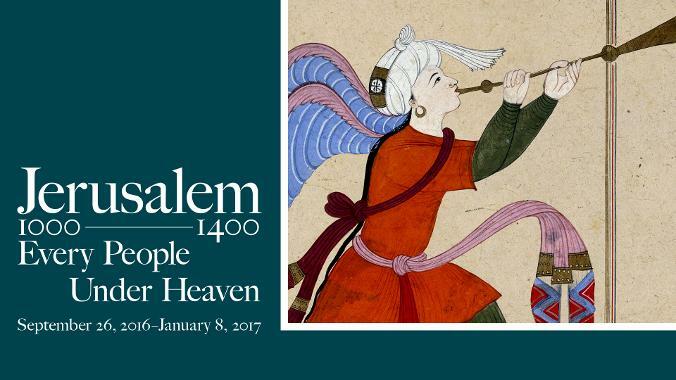 Some reflections following a visit in December 2016 to the exhibition “Jerusalem 1000-1400: Every People Under Heaven” at the Metropolitan Museum of Art, New York, USA (26 September 2016– 8 January 2017). “What is Jerusalem? 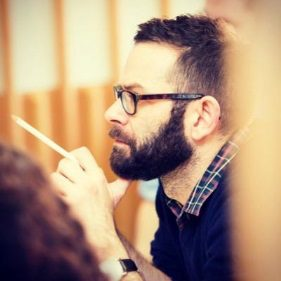 Or where is Jerusalem?” are the opening words of art critic Jason Farago when reviewing the exhibition: “The real city and its eternal image bleed into each other“ he explains. Suitably, he entitled his article Jerusalem Rebuilt in New York’s Green and Pleasant Land. The exhibition is overwhelming in its scale and achievement, a project that takes place once in a life time. Over a period of several years the curators painstakingly selected and assembled in New York a great number of items, borrowed from all Jerusalem’s communities, and thus telling a story of cultural richness; a history of multiple narratives, told from as many angles as possible. When I entered the exhibition hall I found the iconic images of Jerusalem displayed all around. Photographs of the Dome of the Rock projected on great screens. There were no modern maps to guide the visitors to the city or its various parts. I couldn’t help thinking that this was intentional as the subject of the exhibition was not just the physical city but its image. The thousand-year-old question resurfaces; what matters more, Earthly Jerusalem or Heavenly Jerusalem. 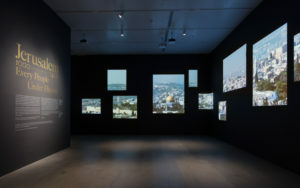 The eschatological city of the end of days and the temporal city are blurred in the Jerusalem Exhibition. While the city is represented with numerous archaeological artefacts, books, maps and images, many are fantastic and have little to do with the real city. As I walked through the exhibition I wondered how many thousands of people made their pilgrimage to Jerusalem through the Met in New York City. Complementing our discussions in London I thought that a visit to the museum’s exhibition is a little bit like the medieval, arm-chair pilgrimage. The first room of the exhibition was dedicated almost exactly to our subject, the travellers to Jerusalem: “The Pulse of Trade and Tourism”. 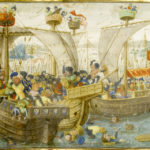 The focus of the room instead of crusade, repentance, pilgrimage or devotion was merchants’ travels, their monies, commodities and souvenirs, as well as a few maps and charts. A recently discovered hoard of golden coins from Caesarea stood right the entrance. Matthew Paris, Marino Sanudo and William of Tyre are the three wonderful manuscripts selected for this room, as well as a traveller map in Arabic, with no distinction between real travellers and armchair ones (e.g. Matthew Paris). In another room I found the beautiful bird’s eye-view of Jerusalem by Bernhard von Breydenbach (The Metropolitan Museum, 19.49.3), next to a Muslim pilgrimage certificate from the year 1433, combining Persian inscriptions and iconographical representation of the holy sites. 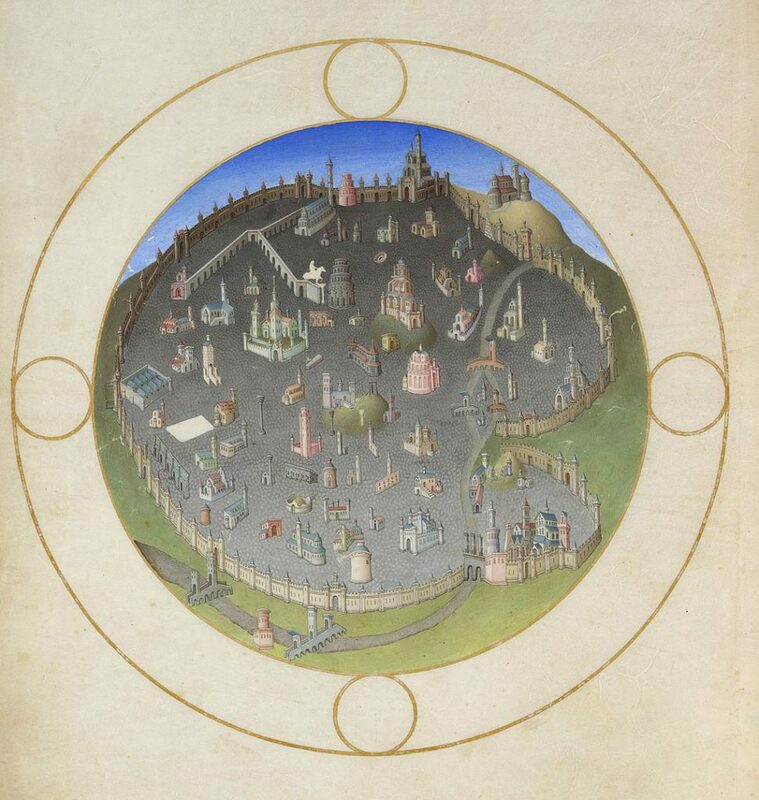 A beautiful pictorial circular maps of Jerusalem was included – this copy from the Hague manuscript of the Gesta Francorum is probably the most famous among them. In the catalogue (but sadly not at the exhibition) was the image from Liber peregrinationis by Riccoldo da Monte Croce (BNF MS Fr. 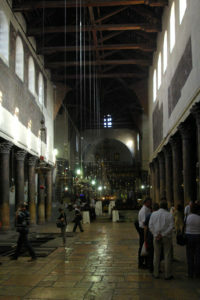 2810) of pilgrims at the (imagined) Holy Sepulchre. The catalogue’s articles, like the exhibition, focused primarily on souvenirs and relics, tourist experience and the material aspect of their journey – specifically on items the travellers brought back home. The question of what knowledge pilgrims brought with them (in the form of books, drawings or maps), what libraries they encountered along the way and what they acquired in the East remain for us to explore. The second hall focused on The Diversity of Peoples and included a large number of manuscripts, “a little unusual for a Met exhibition”, remarked one critic. Visitors queued to look and study the manuscripts carefully. I found this room particularly inspiring. The emphasis of this hall (and the exhibition as a whole) is the richness of Jerusalem’s population, its languages and traditions. 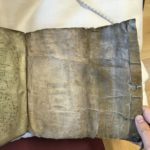 Here I found manuscripts that learned travellers could have found in medieval Jerusalem at one point or another (if allowed into the monasteries were they were kept, and if indeed they possessed knowledge of the locally spoken and written languages). Karaites and Rabbinical Jewish manuscripts, Samaritan, Georgian, Syriac, Greek and Arabic, alongside manuscripts in Ge’ez and Armenian. Copies of the Gospels and the Qur’an were included as well as non-religious texts. 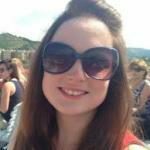 Let me conclude by listing these items, which may be of particular interest to visitors to this blog. Armenian Gospel copied by Nerses the abbot in 1321 in Jerusalem (Library of Congress). Georgian Menologion – written by the founder of the Holy Cross George Prokhorus 1038-1040 at the monastery of the Holy Cross. 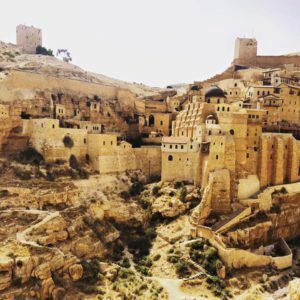 Before founding the monastery he was a monk at the Great Laura of Mar Saba. (Bodleian Library). Four Gospels from Mar Saba (Princeton). Syriac Breviary from St Mary Magdalene & St Simon the Pharisee, 1138 Jerusalem. Armenian canon tables written after 1187 with a scribe’s note of his sadness of the fall of J-m to Saladin and prayer for its recovery. (Walters Art Museum). Missal of the Holy Sepulchre ca. 1135-1140 (BNF, Paris), with a mixture of Latin and Armenian pagination, demonstrating cooperation between a Frankish calligrapher and an Armenian-speaking illuminator. Melisende’s Psalter (BL Egerton MS 1139). After the bloody conquest of Jerusalem in 1099 Jewish survivors were ransomed and exiled to Ascalon then Cairo (Fustat). Manuscripts were ransomed too, including the famous Aleppo Codex. A page from the Aleppo Codex. Daniel al-Qumisi, Commentary on Psalms (late 9th, early 10th century). JTS New York. Cat. 36a, p. 94. Hebrew. Abraham al-Basir – Responsa, 11th century. Arabic. JTS (MS 3448). Yefet ben ‘Ali translation and commentary (10th century). A prolific writer, translator (Hebrew to Arabic) and biblical commentator, his manuscripts were copied numerous times. Maimonides Plan of the Temple (Bodleian, MS Poc. 295). Letter requesting funds to ransom captives (JTS MS 8254). Al-Ghazali’s Ihya (Revival of the Islamic Sciences) from the museum of Islamic art in Doha (this copy was not copied in Jm). Cat. No. 43, p. 100. Al-Busiri’s Qasidat al-Burda (Ode to the Mantle) copied in Jerusalem by a Persian calligrapher Muhammad al-Fruzabadi al-Shirazi in 1361. He lived and taught in Jeruusalem between 1358 and 1368. (NLI Yah. Ar. 784). A few copies of the Qur’an were included in the exhibition. 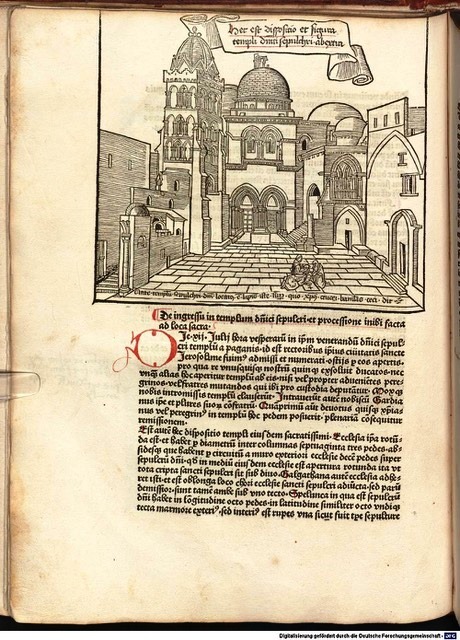 One by Muhammad ibn al-Bulaybil al-Hijazi was copied in Jerusalem in 1390 (British Library). Nur al-Din’s qur’an: a beautiful copy whose pages can found in various museums. The Met had 2 pages from Dallas (Dallas Museum of Art – ex. Keir collection VII 3 and 4).